I'd love to hear from you! Please complete the form at the left to receive updates on releases, contests, and newsletter notifications. Thanks to all the women at Bold Springs United Methodist Church for the warm welcome. I loved sharing with you how God spoke to my heart through Isaiah 43: 18-19 - all while enjoying a Chick-fil-a biscuit. The weather might have been cold outside, but our welcome was warm. 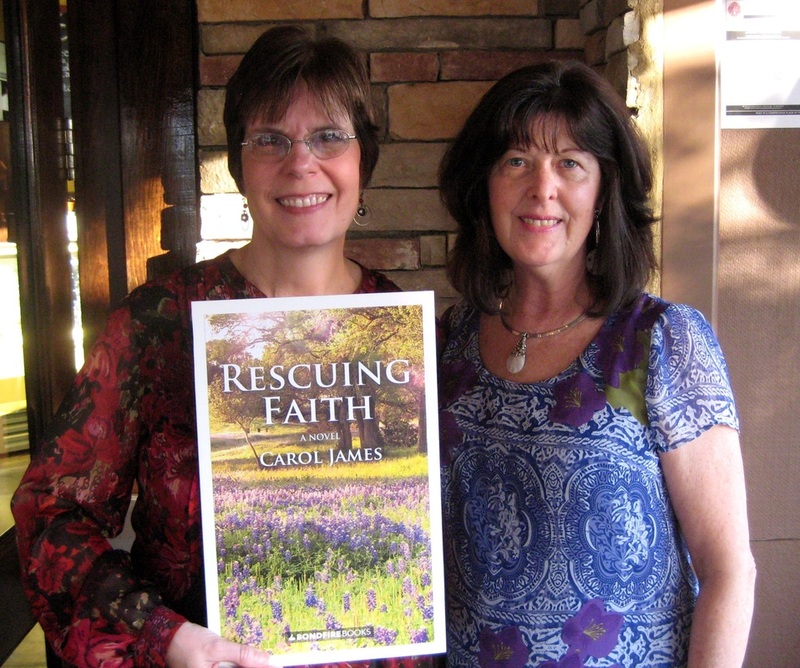 I enjoyed spending a fun time with fellow ACFW authors Lindsey Brackett and Ruth Trippy sharing our writing journeys with the Carol Scott Circle at Buford United Methodist Church. 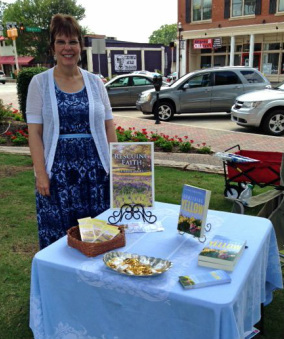 Despite the warm weather, fellow author, Laura Templeton, and myself were nice and cool in the shade on the square in McDonough. 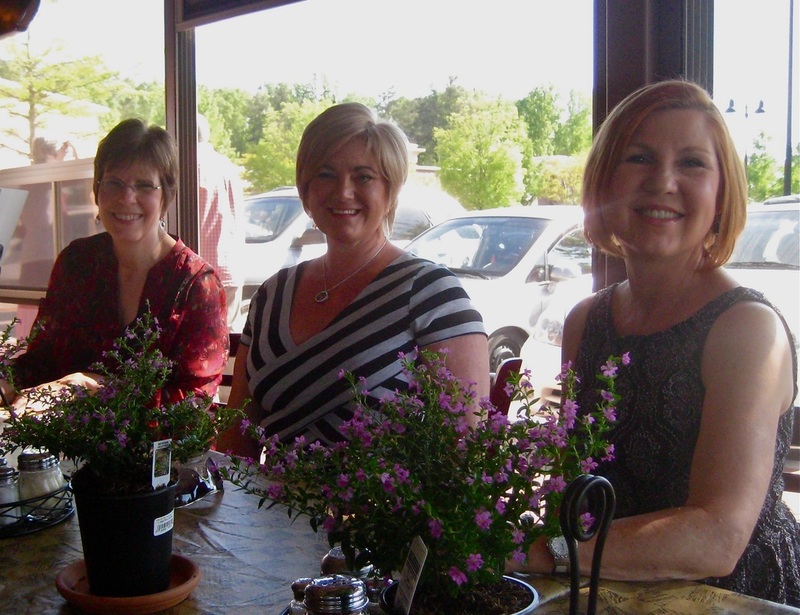 We had a wonderful time meeting new friends and catching up with old. Thank you to all of you who stopped by! A big "Thank you!" 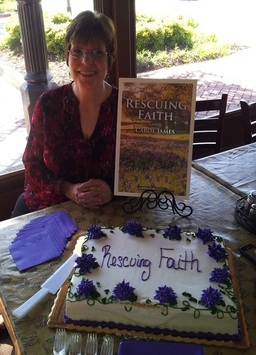 to Linda Mason for planning the best book release party ever! 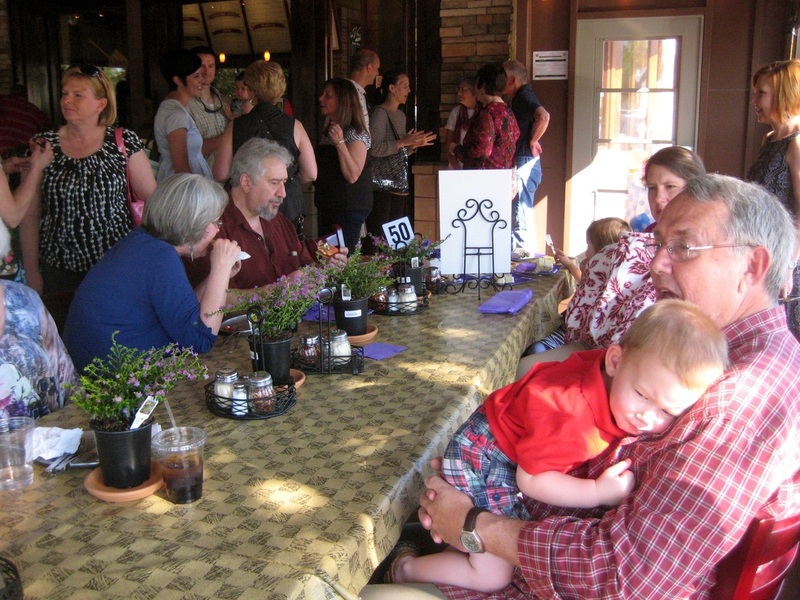 And thank you to all of you who stopped by to celebrate over pizza and cake. How humbling and exciting to see you all. A wonderful time for all! 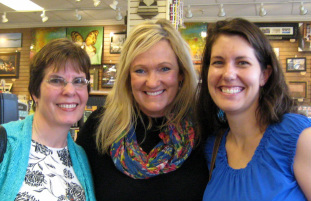 Part of my Mother's Day gift from my daughters was getting to meet one of my favorite authors, Karen Kingsbury. You know how you have an idea of how someone will be, and then sometimes you meet them and, quite frankly, you're disappointed? Not necessarily because of them, but because your expectations were a bit unrealistic. NOT SO WITH KAREN! She was wonderful––warm, entertaining, encouraging, and generous with her time. ONE OF MY FAVORITE GIFTS EVER!! !